After focusing people’s minds on God, the psalmist proceeds to tell his listeners of the foolishness of putting our faith in humanity alone, because humanity ultimately perishes, fades away, and our hopes and plans with them. If we only trust in humanity, then all our plans will come to nothing. Rather we need to trust in the one who will never fail, who will never fade away. In the age of celebrity this is an important message. This psalm tells us of the fallacy of seeking after the rich and popular. We stand on rocky ground if its our celebrities we put our trust and admiration. Yes they are entertaining to watch, and many wish to follow their ways, the way the dress and eat, the things they buy, but they will one day die and those things we have built up will fall and fade with them. And then what is left? No help, no life, no joy, no strength. All will tumble down to nothing. Let this be our prayer, Praise the Lord! Found this in my archives from a few years ago. I don’t know where it originated from, but it made me giggle, so I thought I would share it with you. Presbyterians: None. Lights will go off and on at predestined times. Baptists: At least 15. One to change the light bulb and three committees to approve the change and decide who brings the potato salad. Anglicans: Three. One to call the electrician, one to mix the drinks and one to talk about how much better the old bulb was. Unitarians: We choose not to make a statement either in favor of or against the need for a light bulb. However, if in your own journey you have found that light bulbs work for you, that is fine. You are invited to write a poem or compose a modern dance about your light bulb for the next Sunday service, in which we will explore a number of light bulb traditions including incandescent, fluorescent, three-way, long-life and tinted, all of which are equally valid paths to luminescence. Methodists: Undetermined. Whether your light bulb is bright, dull, or completely out, you are loved. You can be a light bulb, turnip bulb or tulip bulb. A church-wide lighting service is planned for Sunday. Bring a bulb of your choice and a covered dish. Posted on May 19, 2013 Categories MiscTags christian, joke, lightbulb1 Comment on How many Christians does it take to change a lightbulb? My final bit of advertising to all you lovely people. 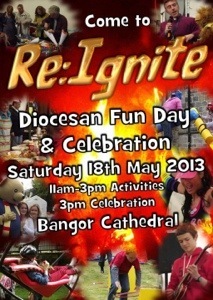 Come and join our day of fun. 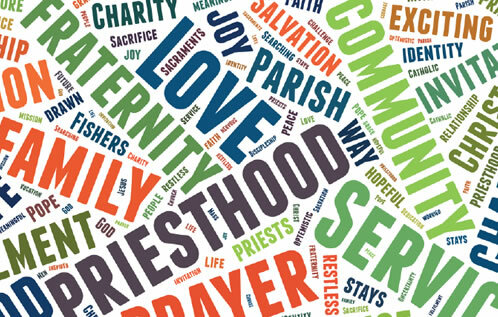 This is what I will be preaching on Sunday, a message on vocations from our Bishops within this province, but with a few small adjustments. When thinking about the gifts that we have been given by God, we need consider how we best use them. These may well be in the role of priest, or deacon, or lay reader, but they my also be in reading the lessons, praying, visiting the sick, or housebound, administration, music, working with children, IT and computer skills, worship leading…………. WE ARE THE BODY OF CHRIST, we are his hands and his feet, his eyes and ears, and we need to own that, as disciples, as followers of him who leads us. Make some time over this next week to think and pray about what you are good at, what you can be good at, and what you want to be good at. Take stock of what is around you, what your community is like, what difference an individual/ community/ church could make to the situations you see. Take time to dream about what you would like your church to look like, take that vision to the furthest points your imagination can stretch it, and then think about how it might happen in reality. Talk to those around you, give praise when you see people using their gifts and encourage others to use theirs. Give and/or create opportunities where people might be able to explore their own gifts. Pray for a future that is as bold as the gospel we have received. As many of you are aware, I’ve recently come back from the Holy Land. I know it seemed like I was away for a long time, I’ve miss you all as well, but I only missed one Sunday (promise). I wouldn’t call it a holiday because of the type of group it was and some of the things we went to see, it was a pilgrimage. As well as all the holy sites you would expect to see on a trip like this, I also got to see many of the places that are not often seen by us in the west and a side of the troubles out there that are not often reported on. I admit I went out there quite ignorant about the situation, and I didn’t know what to expect from this trip, but I can honestly say it was life changing. One traveller said that she went out there blank, but comes back an activist, and in many ways her feelings ring true for me. Alongside places like the Church of the Nativity, the Sea of Galilee, and the Mount of Olives, we also visited Sindyanna Women’s Organisation, Jeel al-Amal Boys’ Home (orphanage), Hope Secondary School in Beit Jala (who St Peters will be helping this quarter), Wi’Am who work in nonviolent conflict resolution, Aida Refugee Camp, St Matthews Anglican Church and clinic in Zababdeh, and we spoke with an Ecumenical Accompanier at the Separation Wall. We saw the effect conflict and separation has had, and the results of warfare and violence. Many of these places are still with me at heart and I’m sure will remain with me. And I warn you all now to prepare for sermons where these people and places feature (I feel them brewing)! But seriously, I do look forward to being able to share with you some of these places and the stories of the people I met. Among the violence and conflict there are voices of peace and hope. Many have not given up their hope of living peacefully within the Holy Land, and we join our prayers with theirs. I ask that you do pray for those Christians in the Holy Land, especially those who live in the West Bank and all those who are working for peace.